There are lots of resources out there to help you understand the new student finance system. They can also help you manage your money while you're at university. Here are some of our favourites. You can use their student finance calculator to get an estimate of the funding you are eligible for. You can access a new interactive student finance quick start guide to allow you to find out the different types of student finance available – including how to apply and repay – all in one central place. 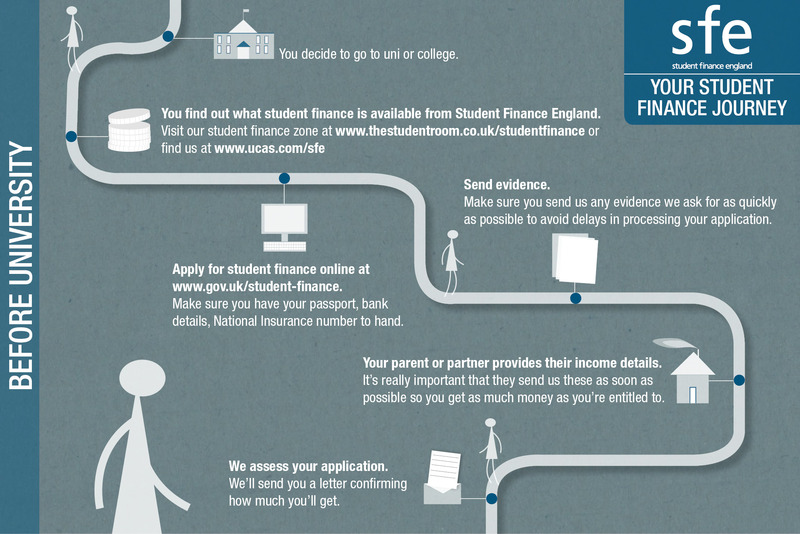 Follow the steps in this infographic for a fail-safe way to apply for your student finance. This video explains all of the financial help which is available to you while at university. Get in the zone! A preview of what Student Finance England's zone on The Student Room has to offer. Not sure how the new system works? Read through Martin Lewis's Student Loans Mythbusting. Find out what funding you could get and build a budget for your time at university with this free online student calculator.